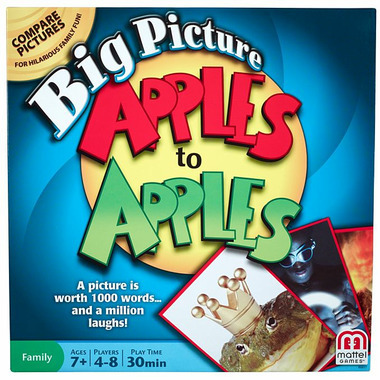 Branching out from classic Apples to Apples game play, Apples to Applesٙ Big Picture introduces a whole new kind of creative fun players get to make hilarious comparisons by using outrageous picture cards! In this edition, players can boost the creativity and fun by drawing their own pictures on 4 unique cards. Be as silly or serious as you want! 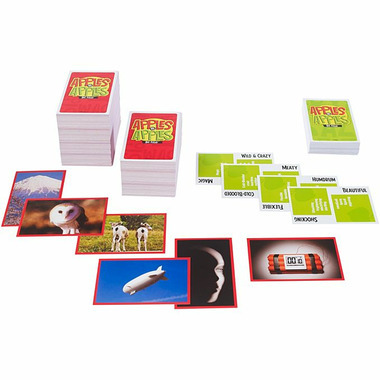 With the Big Picture Apples to Apples֙ Game, a picture is worth 1000 words and a million laughs! Ages 7 and up; 4-8 players.